Here at iLPH HQ, a hectic day and darkening afternoon called for cupcakes, so we scurried round to Sweet Things and bought box of sweet things to bring back for review. 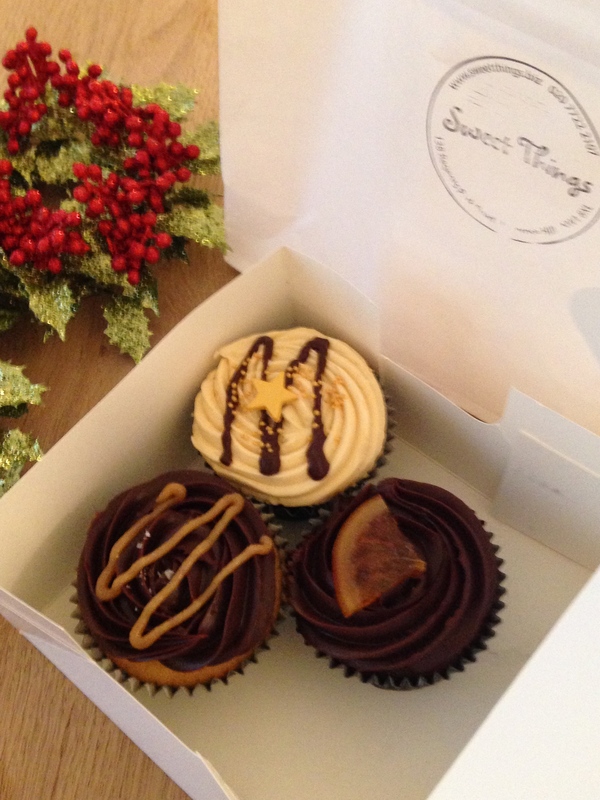 CUPCAKES FROM SWEET THINGS CAKERY, REGENT’S PARK ROAD. © 2013 iLovePrimroseHill.com, all rights reserved. 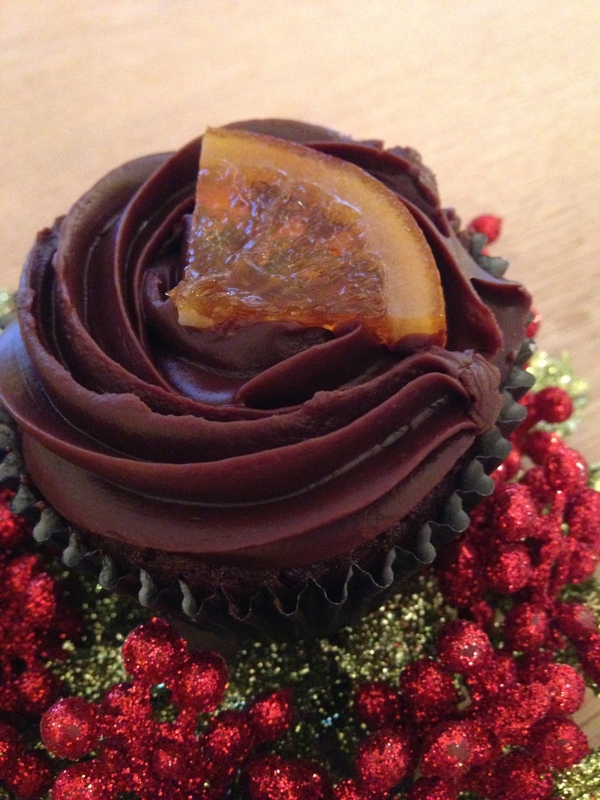 Chocolate Orange was dark and luscious, with a slice of candied orange set amongst the thick chocolate cream. This and the cake underneath tasted clearly of chocolate orange, and the hungry reviewer polished it off with speed and awarded it 9/10. 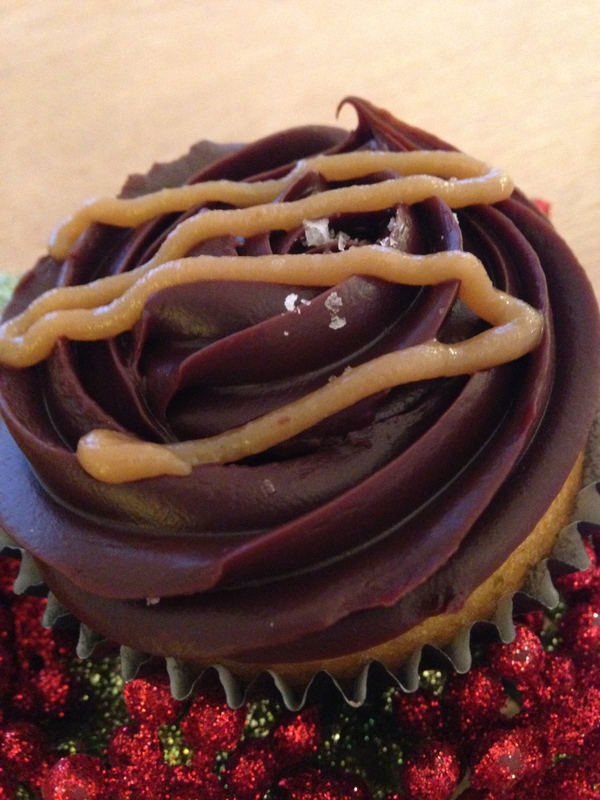 Salted caramel was pronounced ‘delicious’ by its reviewer, who went on to say “the cake was light and bouncy, and the icing melted in my mouth. The icing was very generous and, dare I say, there was too much of it. The caramel and chocolate tasted delicious, but overpowered the rest of the cake.” 8/10. 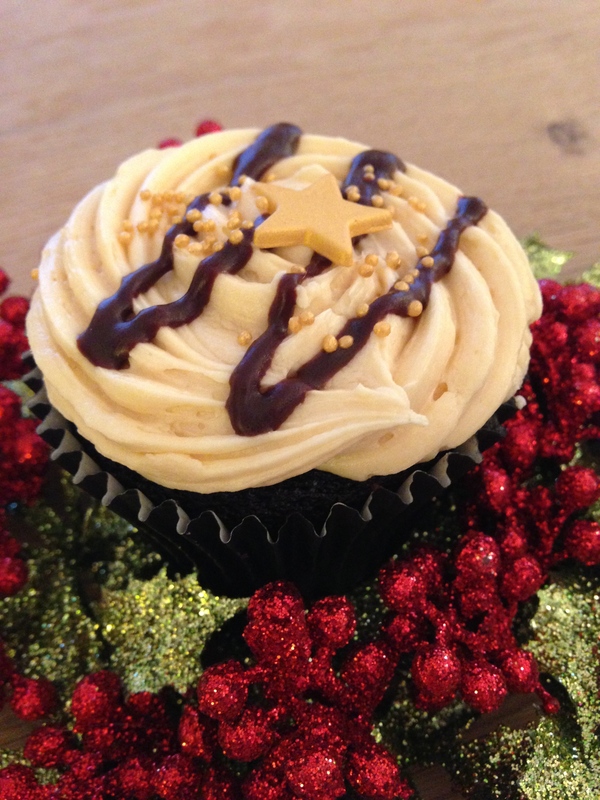 Irish Christmas Cupcake, with a Guinness and chocolate base and Baileys icing, was appealing to look at with its dark, dense base and creamy-coloured topping. Although the flavours were less pronounced than the reviewer expected, the lightness of the creamy icing was appreciated, and cake was declared highly recommended. 8.5/10.